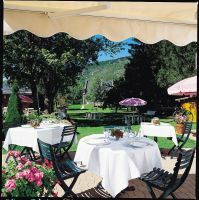 In the Vercors, near Grenoble, the table of the Col de l'Arc restaurant offers traditional French cuisine. A renowned restaurant, recognized for the quality of its plates and especially for its desserts and ice creams of excellence. 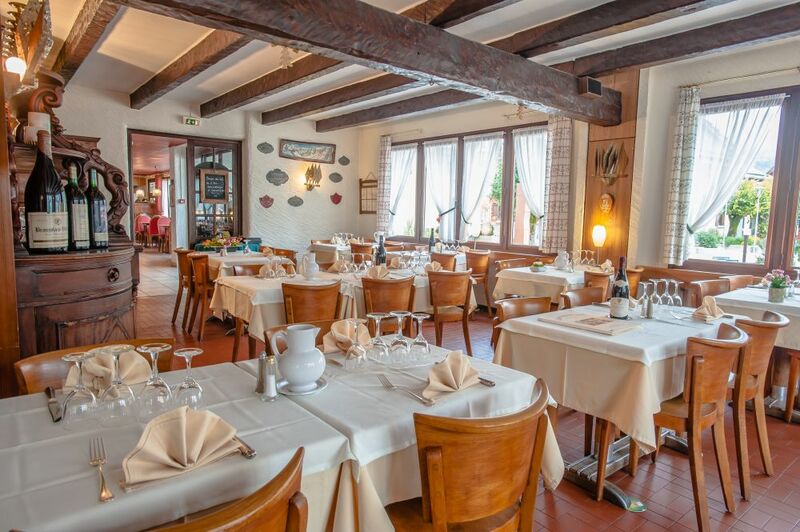 Labeled Maître Restaurateur, the traditional restaurant of the Col de l'Arc elaborates its menus with regional specialties to treat the taste buds of its visitors. After a day of activities, enjoy a home-cooked meal with fresh, local produce. In winter, find a mountain atmosphere with a bright room where the wood dominates. In summer, sunbathe on the terrace of the bar and enjoy the atmosphere of the place of our small mountain village, so lively on market days and summer weekends. Or enjoy the quiet and natural atmosphere of our restaurant terrace, park and pool side, facing south. The young generation composed of Vincent and Déborah offers a fine and tasty local cuisine based on products labeled "Brand Regional Natural Park of Vercors" (beef, blue cheese made in Vercors, honey, trout, aromatic plants ...). These products allow us to offer you a quality restoration for an authentic discovery of the Vercors on your plate. To the delight of the dishes is added the nectar of the wines and the good surprise to taste, among a wide selection of grape varieties, the sparkling flavor of some wines originating from the Diois, thus testifying of the Hotel of the Col de l'Arc to mark its fidelity to the Vercors. Among the specialties that make our traditional restaurant famous throughout the Vercors? And especially our nut and honey pie ..
Our ice cream sundae made with our homemade ice cream, to enjoy on the terrace! Come discover these recipes and many others that will delight your taste buds! Do not hesitate to send us your particular requests during your booking so that we can offer you a most enjoyable moment in our establishment.